Looks like nine months no making games. So this is my first 2018 game. I hope you like it. 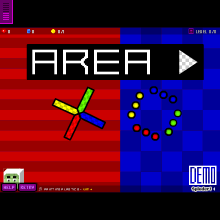 In this game, you are square, you can cross the color matching the background.